What’s better than finding a great new gardening tool that saves time and effort as you make the yard and landscape look better? Well how about an entire collection of power tools that make your work go faster and easier… and do it without using gasoline or being tied to a cord and electrical outlet. That’s the concept behind a new Troy-Bilt CORE line of gardening equipment that I was introduced to at a Saturday6 event in Austin, Texas last March. 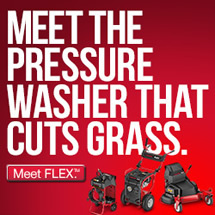 This product line consists of an assortment of “powered by CORE” equipment such as a string trimmer, handheld blower, and a hedge trimmer that are available now, plus a gasoline and cord-free lawn mower that will be released later this year. and is designed with an innovative new technology that delivers more power, and a longer run-time than previous generations of battery powered equipment. The secret is not in the battery but the design of the motor itself, which replaces the ordinary copper coils with a high tech circuit board and magnetic rotors to boost performance, efficiency, and torque. 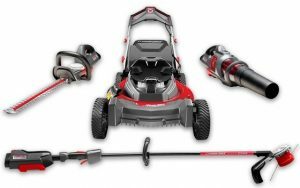 To learn the details on the CORE technology visit the Troy-Bilt website where you’ll find much more information about the design, a new intelligent controller, and the improved efficiency features. I’m going to spend the rest of the time here discussing how the CORE technology actually performed in my backyard and around the house. 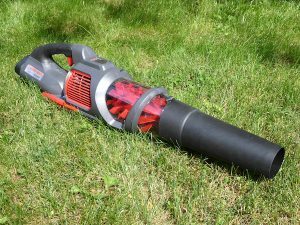 I spent a few weeks using the TB4300 Handheld Blower before writing this review to share my first impressions of it. 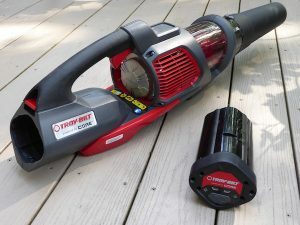 I selected the blower to review because I thought it would be handy to simply pick it up and start working; without the bother of locating a power outlet or fussing over a cord both before and after the job is done. Then there is the hassle of dragging a cord along as you work, and the frustration of coming to the end of your electrical line before the task is completed. 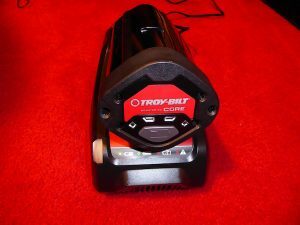 It has been freeing to use this new Troy-Bilt Blower and never have to touch a cord or a gas can before I put it to use. There’s also no limit to where I can work with it and that mobility is a huge plus if you have tasks to perform away from home, or on a large property where an electrical outlet is not always close by. The result is that I actually use this Handheld Blower around the yard a lot more often than I did with my previous corded variety because of how convenient it is to operate. A job that takes two minutes; really takes two minutes and you’re done, when you don’t have to spend another ten minutes looking for the cord and unwinding and rewinding. It may not sound like a big deal but you really notice and appreciate it once you cut the cord! You also won’t spend any time buying gasoline, priming, choking, or pulling a cord in attempts to get it started; just pick it up, pull the trigger, and you’re off and running every time. Troy-Bilt named this tool a ‘handheld blower” rather than a leaf blower and my experience has proved that to be a thoughtful distinction. 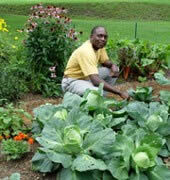 I have yet to blow a pile of leaves, but I have found plenty of uses for this handheld blower this spring and summer. Blowing debris off of the deck and patio, sweeping the garage floor, cleaning grass clippings off of the driveway after mowing, and brushing off power equipment before storing, are just a few of the tasks that the TB4300 has sped through around the house. Using it is simple as grabbing a broom, and the work goes by quickly and easily as you’d expect with powered equipment. With all of the uses that you can find for the CORE Handheld Blower you might be wondering if keeping it charged will be a challenge. Well don’t worry; I haven’t had a problem with the battery life at all! In three weeks of moderate use I have charged it twice and did not encounter any tasks that depleted the battery charge before the job was completed. There is a lighted indicator that shows you exactly how much battery power is left to work with. The power of the blower has been more than adequate for me and I have not even needed to engage the power boost mode that is available to increase the air flow. There are many other nice touches and features that I have not seen on previous leaf blowers that I have owned. For example, the power is variable based on how firmly you squeeze the trigger, which gives you more control to deliver a range of light to strong blast of air as required for the job at hand. Included with the TB4300 Handheld Blower you’ll receive the 40V lithium-ion battery and a 40V Rapid Charger. And since the battery is interchangeable, once you own one tool in the CORE system you can purchase additional bare tools, without the battery and save money. Overall I’m very happy with the new CORE Handheld Blower and wouldn’t hesitate to recommend it or the Troy-Bilt powered by CORE System to my friends. 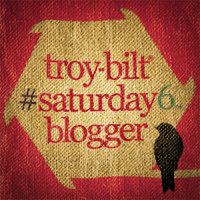 Disclosure: I am a member of Troy-Bilt’s Saturday6 Program which provides compensation to me, and in the case of product reviews, tools or equipment are provided to me at no cost for the purpose of providing an evaluation and sharing my honest opinions.